1. “How many PSAPs do we need? O’Rielly’s challenge could portend a new era for 911 operations” – To kick off the first meeting of the new Task Force on Optimal Public Safety Answering Point Architecture (TFOPA), FCC Commissioner Michael O’Rielly asked members to consider consolidation options (see #5 story below). 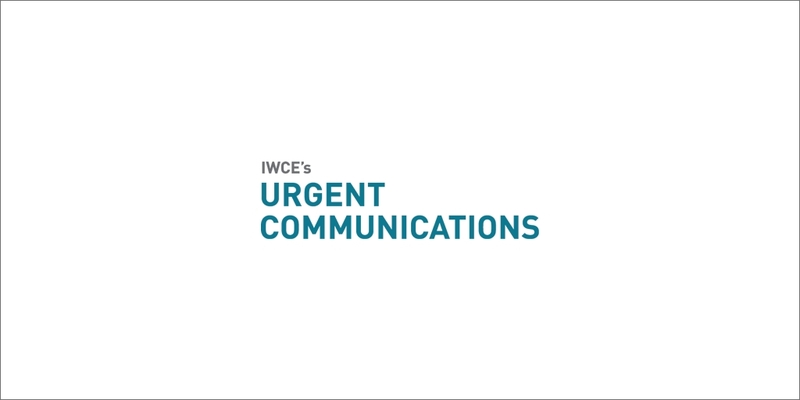 In this column, IWCE’s Urgent Communications Editor Donny Jackson notes the potential of “virtual” consolidation of public-safety answering points (PSAPs), as opposed to physical consolidation. 2. “Body-worn cameras for law enforcement: A really big deal and really, really Big Data” – Consultant Edmond Vea’s column outlines some of the opportunities and technical challenges associated with the deployment of body-worn cameras on law-enforcement officers. In addition, Vea invites readers to participate in an online survey examining some of the key operational questions associated with body-worn cameras. 3. “Motorola Solutions MOTOTRBO software release features new text-to-speech, battery capabilities” – In this podcast, Ben Ansell, Motorola Solutions’ global marketing manager for MOTOTRBO, highlights key features in the platform’s latest software release, including text-to-speech and over-the-air battery management functionalities. 4. “Lawmakers, railroads say 2015 positive-train-control (PTC) deadline should be extended by several years” – During a recent hearing before the Senate Commerce Committee, senators said they would support legislation to extend this year’s deadline for railroads to implement positive-train-control (PTC) systems, because railroad officials say they are still several years from completing the implementation of the technology.